Frequently asked questions about nutrition counselling with a dietitian in the Niagara region and online including: "Is it covered by my health insurance? ", "What's the difference between a dietitian and a nutritionist?" What can I expect during my initial nutrition counselling session? An initial nutrition consultation, whether it be in-person, online (via Skype or other platform), or on the phone, focuses on your needs and goals. The most important thing to establish is what you hope to achieve from seeing a dietitian. Next, your dietitian will gather a thorough health and lifestyle background from you. She will ask about your health history, weight history, lifestyle habits, typical eating pattern and food preferences. Next, she will provide you with personalized nutrition recommendations and education to help you reach your goals. Together, you will create a personalized plan and sample meal plan designed to accommodate your needs, preferences, and lifestyle. What can I expect during my follow-up nutrition counselling sessions? Follow-up sessions offer on-going support and education to help you overcome barriers along the way and sustain changes for long-term success. Your dietitian will ask you to complete a food record that you will review together during each follow-up session and discuss your progress. From that point, your action plan may be tweaked according to your needs and further goals and recommendations may be defined. Follow-up is recommended until you feel your goals have been met and you are able to consistently follow the healthy eating pattern you desire. The letters "RD" (Registered Dietitian) after a person's name indicates the individual is a qualified and experienced nutrition expert. Registered Dietitians belong to a regulated profession that has Public Protection as their mandate governed by a Provincial College (i.e. College of Dietitians of Ontario). Dietitians are held accountable for their conduct and the care they provide. As a regulated health professional, a dietitian has a minimum of a Bachelor's degree, specializing in foods and nutrition, as well as a period of practical training in a hospital and/or community setting. They have passed an in-depth licensing exam, are subject to audits to ensure a high standard of care, and must participate in an annual self-directed learning tool. The term Nutritionist is not protected by law in all provinces so people with different levels of training and knowledge can call themselves a "Nutritionist". As the term "Nutritionist' is not a protected title in some provinces, you should contact your provincial regulatory body to ensure that you are receiving services from a dietitian. 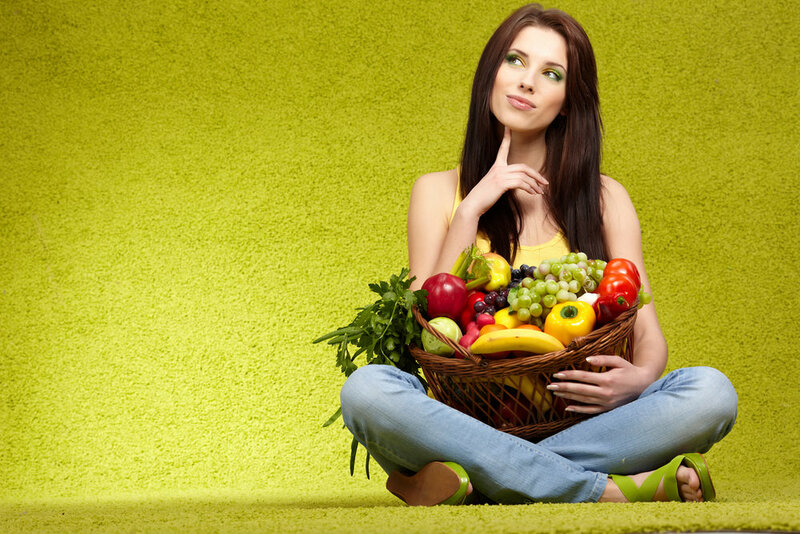 Why should I choose a dietitian to help me? Although there are a multitude of options available for you to choose from including books, the internet, and fad diets, they are unlikely to address your unique preferences and lifestyle. With the help of a dietitian who will take the time to learn about you, offer customized information, advice, and strategies, you will experience the best results. The dietitians at Craving Health have helped hundreds of people improve their eating and exercise habits and offers a variety of packages to address your needs. Do I need a doctor's referral to see a dietitian? A doctor’s referral is not required to book an appointment. With your written permission, we can collaborate with your doctor, psychotherapist, or any other health professional to ensure we are all working as a team to ensure you receive the best overall care. Are dietitian services covered by OHIP? The services of a dietitian in private practice are unfortunately not covered by OHIP. However, many group health insurance plans cover nutrition counseling provided by a registered dietitian upwards of $500 per calendar year. Please check your group or employee insurance policy for coverage details. If you do not have insurance, dietitian services are tax deductible under medical expenses. Dietitian services aren't covered under my employee health insurance plan. What should I do? Research proves that dietitians save employers money and improve health yet many employee health insurance plans neglect to include dietitian services. Fortunately, the majority of all insurance provider offer dietitian services as a benefit but it's up to the employer to select dietitian services as a reimbursable benefit. You just have to ask for it! Check out www.dietitians.ca/employeehealth for detail on how dietitians help create healthy workplaces and share the downloadable infographic "Are dietitian services part of your employee health plan?" with your employer. Credit card (via Square or online), email money transfer, cheque, or cash are accepted. Payment is required at time of service and a credit card is required to secure your appointment when booking online for the first time. We ask that package options be paid fully in advance. Why do I have to pay for packages upfront? Working with a dietitian at Craving Health involves a trusted relationship that offers support outside of appointment times. During the time you are working with Jodi, you are encouraged to communicate via email, text, or phone to address questions or concerns between regular visits. Jodi will seek out resources and recipes you need along the way to help ensure you stay on track and succeed with your goals. Due to the commitment this provides, we ask for payment upfront to ensure your program is completed in full. It takes time to adopt new healthy behaviours so by hanging in there for the full program, you'll achieve the greatest benefit. It's not convenient for me to come to your office. Do you offer other modes for appointments? Absolutely! Telephone, Skype, or FaceTime appointments are available if you live outside the Niagara region. In-home appointments - within the Niagara, Hamilton/Burlington areas - are also available. A travel fee of $0.55 per km outside of 10 km radius of Beamsville, will be added. Do you have a question not listed here? Not sure what services will best address your health & lifestyle needs? Please contact Craving Health @ 905-769-0833 or info@cravinghealth.ca. We're here to help!